Video by UK Public Relations and Marketing. To view captions for this video, push play and click on the CC icon in the bottom right hand corner of the screen. (Feb. 27, 2014) — Twenty-four undergraduate researchers from the University of Kentucky, along with more than 200 other student representatives from across the state, are taking over the state capitol in Frankfort today to showcase their research to the state legislature. 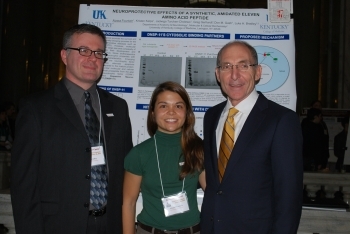 Posters-at-the-Capitol is a one-day annual event held to educate the Kentucky state legislators of the importance of undergraduate research and scholarly work. The governor, members of the General Assembly and representatives from students' hometowns are able to engage directly with the scholars on this day. "The University of Kentucky is deeply committed to a culture of undergraduate research because of the profound impact it has on learning and the inherent value it brings to the Commonwealth of Kentucky," said UK President Eli Capilouto. 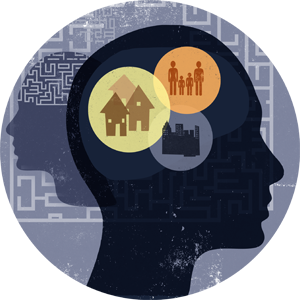 "By engaging in innovative research activities and inspiring a generation of thinkers, pioneers and inventors, we position ourselves to address our state’s most intractable problems and create a better future for all Kentuckians." The event is a collaborative program where students from each of Kentucky's eight public universities and the Kentucky Community and Technical College System present the results of research they have conducted as part of their college experience before the state legislature. Many different undergraduate disciplinary areas are presented at the event, not only those within the sciences. The UK Office of Undergraduate Research is part of the Academy of Undergraduate Excellence within the Division of Undergraduate Education at UK.